Why doesn't your home inspector call out mold when inspecting a home during a Real Estate purchase? Why doesn’t your home inspector call out mold when inspecting a home during a Real Estate purchase? Several new home buyers recently discovered from the photos in their home inspection report that black discoloration on the surface of a wall appeared to be mold. Next they asked why the mold wasn’t reported by the home inspector. 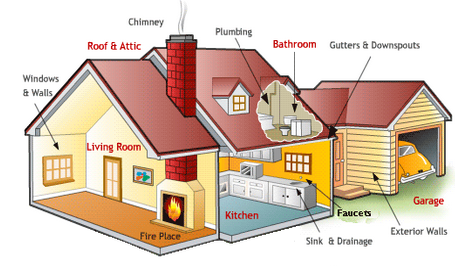 Typically home inspectors have a limit to the their inspection process. In discovering a mold like substance, the home inspector will typically refer the potential home buyers to a mold specialist, such as Fun Guy Inspections. The mold specialist is qualified to take samples, record moisture, and help determine the next steps for mold remediation. In some cases, a home inspector may actually fail to see the discoloration. In this case, the potential home buyers should ask the home inspector to reinspect the area. If mold is outside the scope of their inspection the condition should be reported in their home inspection report. Not reporting the mold like condition is simply neglegent and the condition may get worse over time. When mold is recognized during a home inspection the home inspector should just note that discoloration or mositure stains were observed in the area. A qualified mold specialist should be consulted at this time to help determine the extent of the water damage and /or mold problem. “Home inspectors who say nothing about visible mold-like conditions are not using good judgment and are not representing the interests of their clients.” AHD. FunGuy Inspection & Consulting LLC performs all types of mold and water damage inspections on residential, commercial, and industrial properties potential buyers plan to purchase. Mold is a fungus. Mold can encompass a large and taxonomically diverse number of fungal species. Over time, mold persistently grows on anything organic when moisture is present, which can be caused by a variety of factors. If not treated properly and in a timely manner, it could lead to health problems. Molds are ubiquitous in nature as the spores are a common component of household and workplace dust. Some molds cause allergic reactions and respiratory problems. And a few molds, in the right conditions, produce “mycotoxins,” poisonous substances that can make people sick. However, when mold spores are present in large quantities, they can present a health hazard. And prolonged exposure may be particularly harmful.